From 1,400 to 6,500 sq.ft. NAHB Member for over 30 years Hillshire's memberships in business and real estate organizations, both local and national, are evidence of their commitment to professionalism. These organizations include: the National Association of Realtors, Illinois State Association of Realtors, Champaign County Board of Realtors, the National Association of Home Builders, the Home Builders Association of East Central Illinois, and the Urbana Business Association. 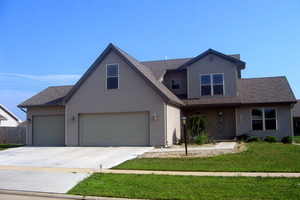 Hillshire construction has designed and built over 300 homes in Champaign County. 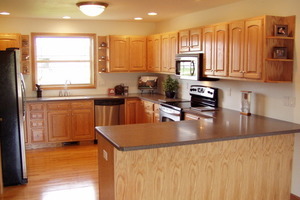 We recognize that the purchase of a new home requires time and careful consideration. We are a family business with many years of experience in contracting, design, sales & marketing, and construction management. Let us help you locate a homesite, select a floor plan, find a lender and market your existing home. Hillshire Development is focusing on promoting Southridge subdivision and excellent builders servicing our area. Please check out these builders on our Southrdige Subdivision page here: www.hoodle.net/southridge.